Medical Media Images creates new type of product, called "Reference Images". 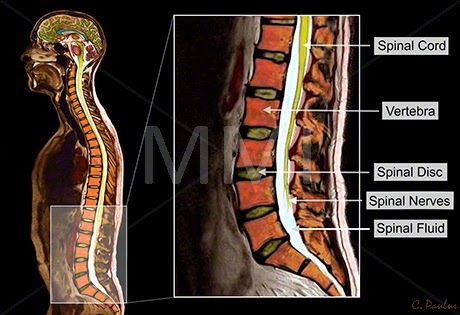 These images are unique in that they show an MRI of the whole Body as a Reference to where the main image is taken from. This allows the viewer to understand easily which part of the body an image is showing. Both the Reference Image and the Main Image are in color. The above Image is an example of the new "Reference Image" product. On the left, a Whole Body MRI is shown. A rectangular "cut-out" shows where the main Image is taken. 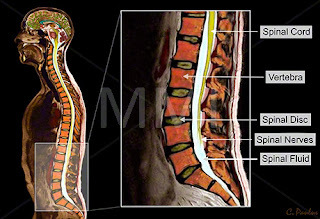 The main Image has annotations which show the main anatomical structures of the low-back (lumbar spine). 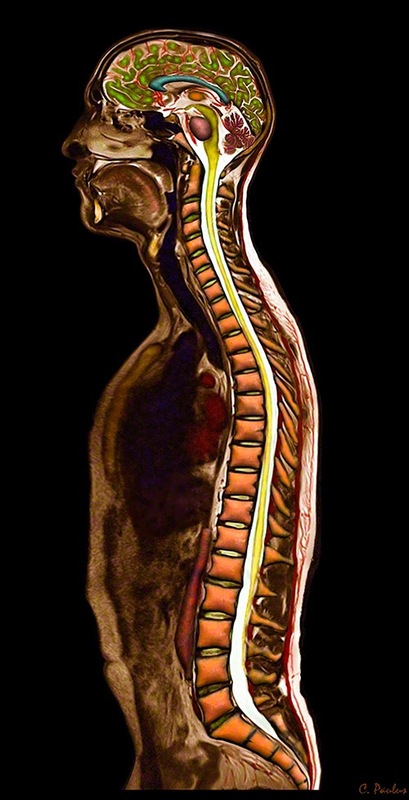 The Spinal Cord, Vertebra, Spinal Disc, Spinal Nerves and Spinal Fluid are shown. New Color X-Ray Images: "Side-by-Side Images"